I'm wary of silicone bakeware. It seems a bit ironic that to use it well, one must utilize metal. So really - why go there? Haha. That's my two-cents. Marni, I just wrote about silicone bakeware myself in October! 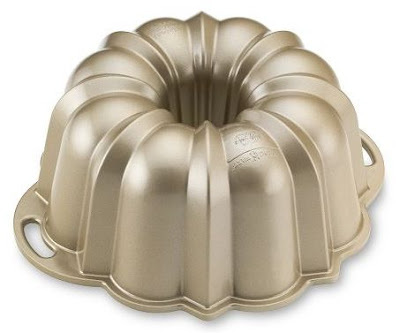 I've used a plain round silicone pan for baking cakes in my microwave. (Earlier I baked in glass.) I have no complaints. You do need to be a little careful while taking it out but no extraordinary care needed.